Happy birthday, Mr. V! 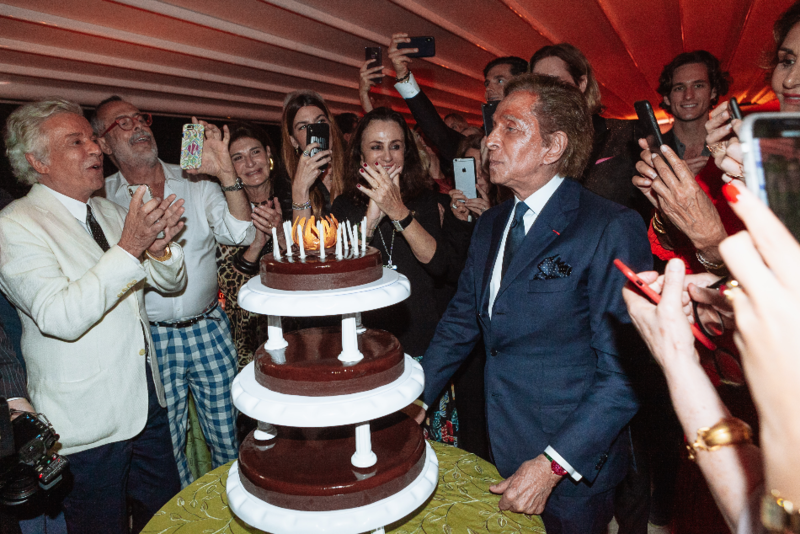 Last month, Mr. Valentino jetted down to Portofino to celebrate three days' worth of happy returns. He was joined on his getaway by a couple dozen pals, including Valentino creative director Pierpaolo Piccioli, longtime Tribe members Bruce Hoeksema, Carlos Souza, Naty Abascal and Georgina Brandolini, and of course, Mr. Giammetti. The itinerary for the trip? Sunning and eating, primarily. Excursion guests took in the sparkling waters of the Ligurian Sea and sumptuous dinners at the Hotel Splendido in Portifino and the Spinola Palace, up the coast in Genoa. 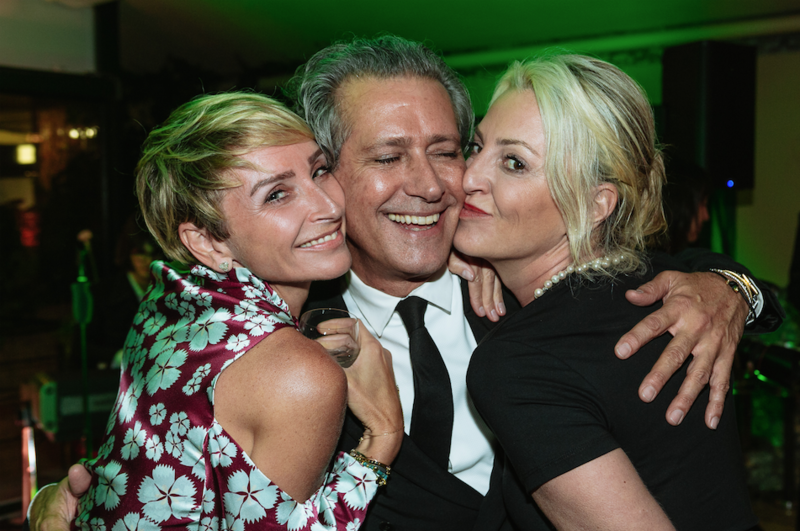 The latter fete, hosted by Valentino Chief Marketing Officers Isabelle Clavarino and her husband Carlo, marked Mr. Valentino's actual birthday, on May 11th. As journalist Suzy Menkes remarked, commenting on a photo from the dinner posted on Mr. Giammetti's Instagram, Mr. Valentino was "surrounded by dear friends… Who could ask for anything more?" Indeed. 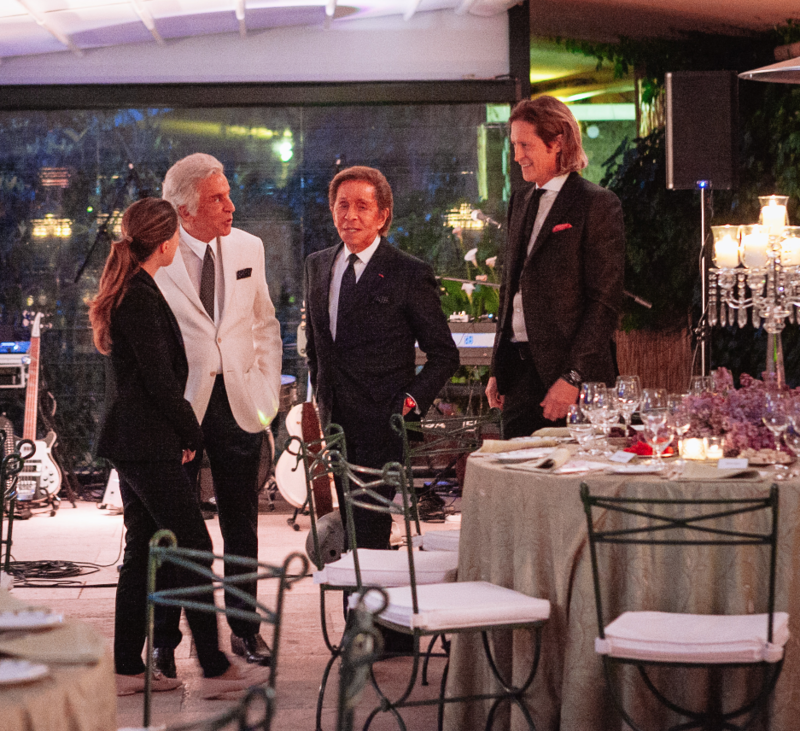 And the celebration kept going, culminating the following day in a lovely lunch at the home of Italian style icon Pupi Solari, famed both for her eponymous childrenswear boutique and her silver mane. Another year older, then, but Mr. Valentino shows no signs of slowing down: La dolce vita must be keeping him young!